Portable TENS Unit designed to help with pain management for targeted relief of sore or aching muscles. Do you have sore muscles? 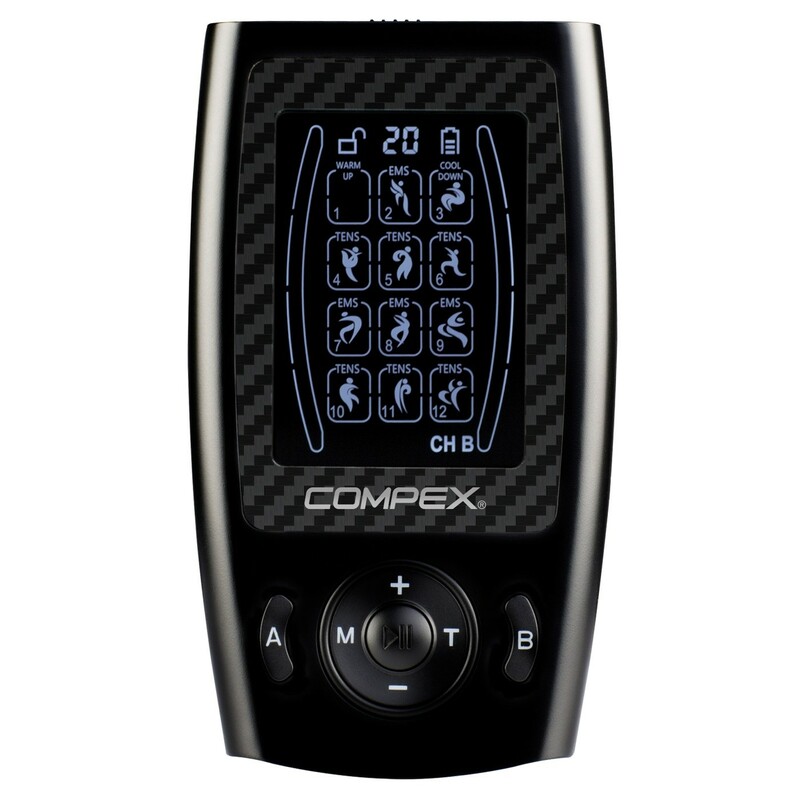 The Compex® LT is a lightweight, handheld rechargeable TENS unit that can help temporarily relieve aches and pains in various parts of the body due to muscle strain or soreness from exercise or normal household or work activities. Refer to the Instructions For Use for more information. The Compex® LT is a TENS device designed to help temporarily relieve pain by targeting sore or aching muscles. With 12 Pre-set modes, 20 Intensity Levels, 2 Independent Channels, 4 Electrode Pads, and 6 Treatment Time Modes, this easy to use device will stimulate the body's sensory receptors to help block and relieve pain. This small, portable rechargeable device makes it easy to use at the gym, post-workout, at home or on-the-go. TENS (Transcutaneous Electrical Nerve Stimulation) are tiny electrical pulses delivered through a device which can help alleviate pain through two different means. By stimulating the sensory nerves TENS produces high levels of endorphins to help ease body pain. The other method of pain relief, known as GATE Control Theory, works to block pain signals to the brain. TENS therapy can help with pain relief of sore and aching muscles. Charge unit 8 hours before use. Connect electrodes to wire by snapping them on; insert the other end of wire into output A channel. Repeat for output B Channel. Attach one or two pair of the electrodes to the body part. Turn unit on. The unit will automatically start at Mode 1. If the electrode doesn't stick to the skin, the word "PAD" will flash. When "PAD" is flashing, you will not be able to increase the intensity. To change the mode press the M button. To increase intensity press the + button; to decrease intensity press the - button. Press the ►II button, to stop the unit. Press T, to select one of six timers. Press the B button once to switch from output A channel to output B channel: To switch back to Channel A press the A button again. Use a damp cloth to wipe off the face of the unit.